Today begins the First Interview Round in Pensando la LIJ. We will count with important academics, publishers, authors and illustrators who access to respond a brief interview about fundamental topics in children’s literature. Each one of them answered from its own point of view. I want to thank all of them for their willingness to answer my questions. Our first exclusive interview is from Russian researcher, academic and children’s literature specialist, currently based in Cambridge, UK: Professor Maria Nikolajeva. 1. How would you define children’s literature in opposition to adult’s literature? What makes children’s literature is specific over “just” literature? I have spent the past 30 years trying to address this question and published a dozen books and hundreds of articles. I still don’t have an answer. I believe the most important difference is the asymmetrical position of the author and the reader, in terms of cognitive skills and social status. 2. As an academic and researcher, how do you understand good quality in literature? What are the elements that can’t be missing when we talk about good literature? Aesthetic qualities in the first place, that is, good artistic craft, storytelling, language, sophisticated thinking. Everything else, including “relevant topics”, is secondary. 3. What do you think a reading mediator cannot overlook about his role? 4. What are the literature elements that mediators should promote to contribute to literary education of readers? Aesthetic quality, as above; human values; empathy. – What is your favourite children’s book? Why? 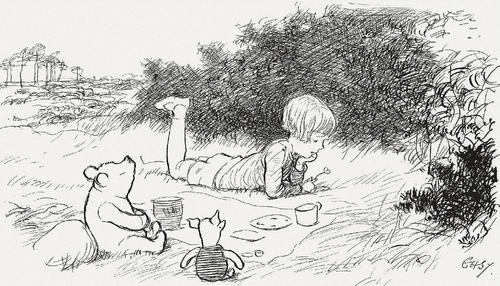 Winnie-the-Pooh, because it addresses all fundamental issues of human existence.